-SG- Last month I had the pleasure of visiting Brian who has a very tidy 1926 Model 18, amongst other interesting Vintage Norton hardware! 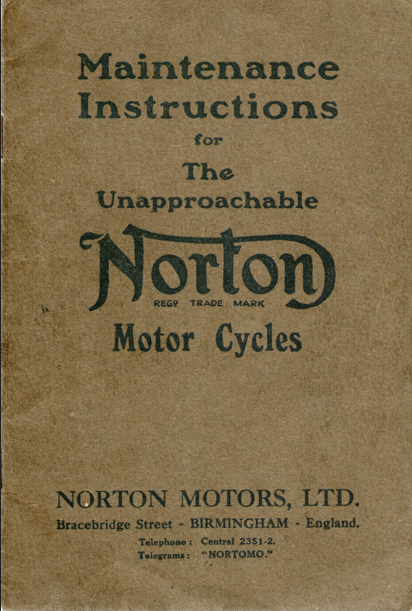 He kindly lent me a copy of the period Maintenance Instructions booklet, which appears to have been printed late in 1925. 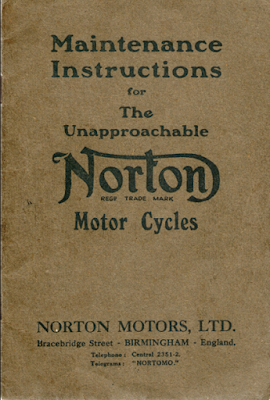 The same booklet was issued in '26 also but overstamped with the changed trading name of Norton Motors (1926) Ltd. Click this link for a copy of the booklet.